Today, should be an awesome celebration of the American spirit. 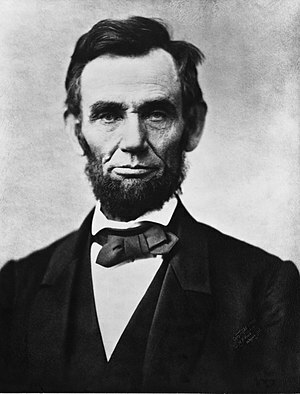 Abraham Lincoln took office on this day in 1861 and would become one of the most revered men in the history of the US. His election is the last catalyst to move southern leaadership to begin secession. South Carolina would be the first and Lincoln responded accordingly, he never surrendered. The Southern cause was one of simple philosophy, keep fighting until Lincoln and the rest of the Republican Party was voted out of Congress. This plan would fail and Lincoln would see that the country stay whole and “give that last full measure of devotion” to the country he loved. One of the funniest ironies of this american giant is the idea that he was always famous. When he traveled to NYC to campaign for the nomination, no one met him at the wharf, the hotel, or the caucus floor on the first day of debate. Information contained in this article was fact checked using the online sources Wikipedia and CWPT. As well as works by Shelby Foote, James M. McPherson, Bruce Catton, James I. Robertson Jr., and William C. Davis.